A senior Republican strategist said that GOP candidates are being encouraged to talk about the issue as much as possible. Republican strategist Ed Rollins, a senior political contributor to CNN, summed up the GOP perspective. "Intellectually, the president may be right, but this is an emotional issue, and people who lost kids, brothers, sisters, fathers, what have you, do not want that mosque in New York, and it's going to be a big, big issue for Democrats across this country," Rollins said on the CBS program "Face the Nation." Sen. John Cornyn, R-Texas, told "Fox News Sunday" that Obama's stance demonstrated how "Washington, the White House, the administration, the president himself seems to be disconnected from the mainstream of America." Democrats responded that critics fail to distinguish between al Qaeda terrorists who carried out the 9/11 attacks and the Islam religion, which includes peaceful adherents all over the world, including the United States. 5) in a cheap and disgusting political ploy. Really? Is that what happened? Just because Debra Burlingame says so? Maybe overstating the case a bit with dramatic flourish? and the sanctity of ground zero finished"
The Islamic center's leaders say they plan to build the $100 million, 13-story facility called Cordoba House two blocks from the site of the 9/11 attacks. The developer, Sharif el-Gamal, describes the project as an "Islamic community center" that would include a 500-seat performing arts center, a lecture hall, a swimming pool, a gym, a culinary school, a restaurant and a prayer space for Muslims. This month, the New York City Landmarks Preservation Commission allowed the project to move forward by unanimously denying landmark status for the building where the proposed Islamic center would stand. On Wednesday, the project's developers declined an offer by New York Gov. David Paterson to relocate the project to a state-owned site. is not the same as "mosque at ground zero." There never were plans for a mosque at “ground zero.” The entire story is made up by a public relations agency working with the Israeli government and the GOP. There are plans for an Islamic center in an old Burlington Coat Factory store blocks away. That far down the island of Manhattan, a couple blocks away is “across town.” The idea that Israel is financing the “Ground Zero Mosque” controversy when Mossad agents were arrested, dancing in the streets on 9/11, is an obscenity. Conflate. 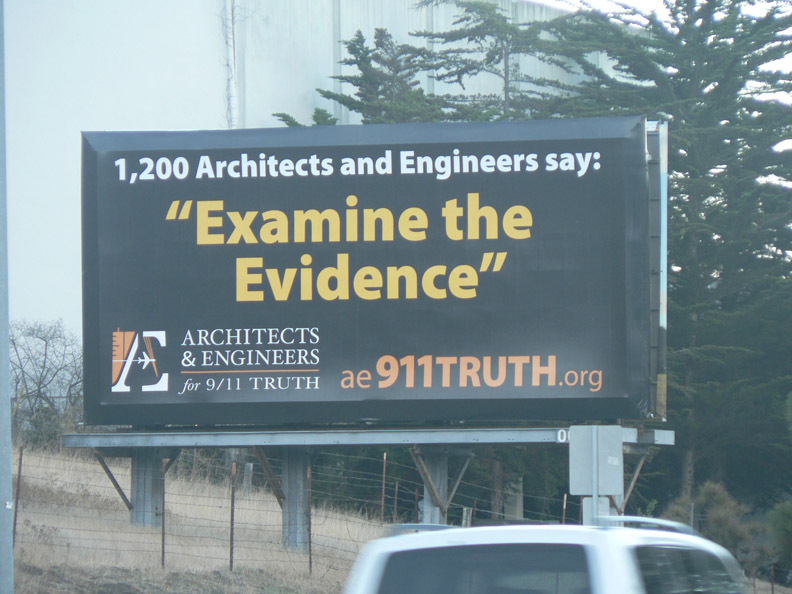 Who are the experts on conflating? See: to blow together. Why the mosque issue? Why now? Obama helps by playing his role in the drama. You know the drill. Win win win. You mean we have to actually do some independent research and reading? "hey, you care so much so how much time have you taken out of your life over the past eight years to do some research about what really happened that day? oh zero? yeah i thought so." Sangh Parivar is all set to turn on the heat over the Ayodhya issue once again, with a fresh campaign to “awaken” Hindus starting Monday. 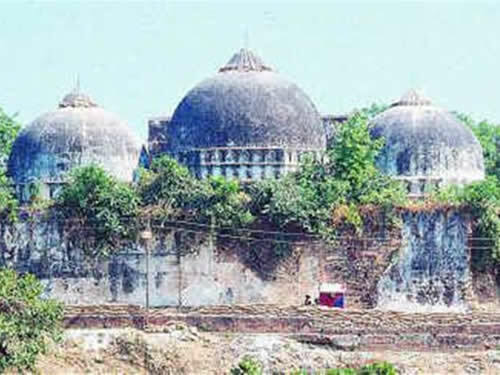 Rashtriya Swayamsewak Sangh and Vishwa Hindu Parishad (VHP) have drawn up a four-month plan which would climax in a “grand celebration” on the occasion of Shaurya Diwas (December 6), to mark the anniversary of the 1992 Ayodhya demolition. The Uttar Pradesh (UP) administration, already worried over the impending high court (HC) verdict in the Ayodhya title dispute, is alarmed. Additional DG Brij Lal, who reviewed the situation recently, said security arrangements were tight as ever and a proposal for increased deployment of central paramilitary forces was being readied. Sources said UP Police and intelligence agencies were on high alert. They are putting emergency plans in place in view of the recent US advisory warning about a possible terror attack on India. The mysterious disappearance of 61 trucks loaded with explosives in Madhya Pradesh has added to the worries. A senior official said the state government was closely monitoring Sangh Parivar’s new campaign, being touted as the “final thrust” for construction of a Ram temple at the disputed site in Ayodhya. Senior leader Purushottam Narayan said the jan jagran (people’s awakening) will start on Monday morning with VHP workers chanting Hanuman Chalisa throughout the country at the same time. “The message has gone out to at least 10 lakh temples… our target is to get at least 1 crore ‘sankalp patras’ filled up by people pledging resolve to building Ram temple in Ayodhya,” he said. Special prayers and ‘havan’ would be organised in 8,000 blocks across the country. The court’s efforts at getting the two sides to resolve differences through dialogue have already failed. The exchanges only seem to be getting bitter as the day of judgment approaches. How the hell do 61 trucks full of explosives go missing? 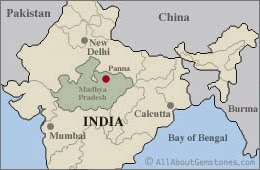 61 trucks full of explosives went missing in Madhya Pradesh. Four of the 61 trucks that vanished with 400 tonne explosives over four months were found – but thoroughly cleaned out – on Friday night in Rajgarh district of Madhya Pradesh. A police team seized the vehicles parked in front of a local trading company, BM Traders, at Pipala village of Beoara Tehsil of Rajgarh district, 150 km north of Bhopal. The trucks were sent from Rajasthan Explosives and Chemicals Ltd (RECL) to a trading company in Sagar, Ganesh Magazine, between April and July. Following a Hindustan Times exclusive on Friday, the Union Home Ministry expressed concern and asked the MP administration for a report on the missing trucks. Leader of the police team Inspector Jayendra Singh Parihar said the explosives were unloaded somewhere between Dholpur in Rajasthan and Sagar. Although the Rs 1.5-crore deal was clinched on Thakur’s explosives trading licence, he told the police that he had got it cancelled in March, as he was not getting along with his partner, Jai Kishan Aswani, who comes from the same area where the trucks were found. The anti-terrorism squad of Rajasthan Police, engaged on Friday evening, suspects that the explosives might have been sold to miners in Bhilwara and Rajsamand districts in Rajasthan or even to Maoists in Andhra Pradesh. While three of the seized trucks were from Bhilwara, the fourth one is owned by Devendra Thakur, one of the two partners in Ganesh Magazine. 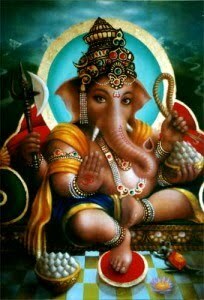 Ganesha is a Hindu god. The Babri Mosque or Mosque of Babur was a mosque constructed by order of the first Mughal emperor of India, Babur, in Ayodhya in the 16th century. Before the 1940s, the mosque was called Masjid-i Janmasthan ("mosque of the birthplace"). The mosque stood on Ramkot ("Rama's fort") Hill (also called Janmasthan ("Birthplace"). It was destroyed by Hindu nationalists, 150,000 strong, during a planned ceremony on December 6, 1992 and despite a commitment to the Indian Supreme Court that the mosque would not be harmed. Hindu nationalists believe that Babur's commander-in-chief Mir Baki destroyed an existing temple at the site, which Hindus believe was the temple built to commemorate the birthplace of Rama, an incarnation of Vishnu and ruler of Ayodhya (See Ram Janmabhoomi.). Interestingly the mosque shared a wall with a Rama Temple. The Babri Mosque was one of the largest mosques in Uttar Pradesh, a state in India with some 31 million Muslims. Although there were several older mosques in the city of Ayodhya, an area with a substantial Muslim population, including the Hazrat Bal Mosque constructed by the Shariqi kings, the Babri Mosque became the largest, due to the importance of the disputed site. Another disputed site and a mosque, and Sangh Parivar is all set to turn the heat on, and the intelligence agencies are on high alert because 61 trucks full of explosives went missing on the way to a "trading company" named after a Hindu god, and the US recently made an advisory warning about possible terror attacks in India. But we won't get ahead of ourselves. This is all new to us here. What happened in 1992? A BBC eye-witness reports on the day rioters destroyed the Babri Mosque. Trouble first broke out in the space below us when young men wearing bright yellow headbands managed to break through the barriers. The police stood by and watched, while some men wearing saffron headbands and appointed by the organisers to control the crowd did try to stop them. They soon gave up, however, and joined the intruders in beating up television journalists, smashing their cameras and trampling on their tape recorders. Encouraged by this, thousands charged towards the outer cordon of police protecting the mosque. Very quickly, this cordon collapsed and I saw young men clambering along the branches of trees, dropping over the final barricade, and rushing towards the mosque. The destruction of the mosque sparked terrible violence between Hindus and Muslims in India. Over 2000 people died. Ten years later the Gujarat riots followed the Godhra train attack, a train carrying Hindu activists from Ayodhya. As Israeli intelligence services raise alarms about the prospect of radical Jewish groups attacking the mosques atop the Temple Mount, an eerily similar controversy is simultaneously developing in India, with possible lessons and implications for Israel. According to legend, the god-king, Lord Ram, one of Hinduism's principal deities, was born in Ayodhya, about 540 km southeast of New Delhi. The Moslem conquerors of India destroyed the temple commemorating his birthplace centuries ago and built a mosque, known as the Babri Masjid, on the ruins. ...Ayodhya prompts several thoughts relating to the Temple Mount. This pattern still continues - as recently as October, when it happened at Joseph's Tomb in Nablus. This is the narrative hook, the accusation: that Muslims habitually build their mosques on top of other people's sacred places. Notice that Pipes says "according to legend" the Hindu god was born at Ayodhya. The Babri Masjid (Mosque) was built in 1528. Hindus claimed 330 years later (1853) that Rama was born there. But then, in 2009, a leaked government report caused a stir because it said that the destruction was "meticulously planned" and attributed to top Hindu leaders. In India, a leaked government report which has blamed senior Hindu nationalist leaders for the demolition of an ancient mosque 17 years ago, has rocked parliament, and angered the opposition....The Indian Express newspaper says that the commission has concluded that the build-up to the events that culminated in the Hindu mob tearing down the mosque was "meticulously planned." The newspaper says the Liberhan commission has slammed top leaders of the opposition Hindu Nationalist Bharatiya Janata Party for their role in the destruction of the mosque, which sparked some of the worst Hindu-Muslim clashes seen in the country. Those named include former Prime Minister Atal Behari Vajpayee and current leader of the opposition, Lal Krishna Advani. Aha. That brings us to Sangh Parivar in Part 2. Low information and high emotion are essential trademarks of modern American politics. More than 2 of every 3 Americans willingly utters disapproval of this Islamic center. I am ashamed of these distinctly un-American impulses confirmed by the latest polling. Nonstop demagoguery in an omnipresent multimedia storm with corn syrup fueled insulin addiction and slavish professional paces driving our predictable, pavlovian mob mentality. This is 21st century fascism. people need to turn off the teevee. they are programmed as sure as the sun rises in the east. And stay away from processed foods and take a vacation from the three jobs they are juggling to keep the bills paid. that's right. people don't have time and they can't be bothered, and that's convenient for funneling them to the teevee. re: static, who knows. the stats are always interesting. The brain is altered by the hormonal changes that a high fructose corn syrup diet invokes.